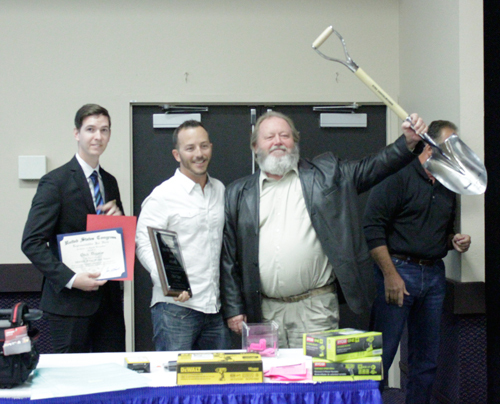 Published 11/09/2016 at 500 × 404 in 100+ attend Nov. 3 Excavator Appreciation Event in Henderson. Billy Byrd, with Byrd Underground, accepts the 2016 Silver Shovel Award. His son, Tyler Byrd, stands to his left.